The Free State Department of Education celebrated World Children’s Day at the Simon Sefuthi Community Hall recently. “We want to celebrate the 356 schools in our district. 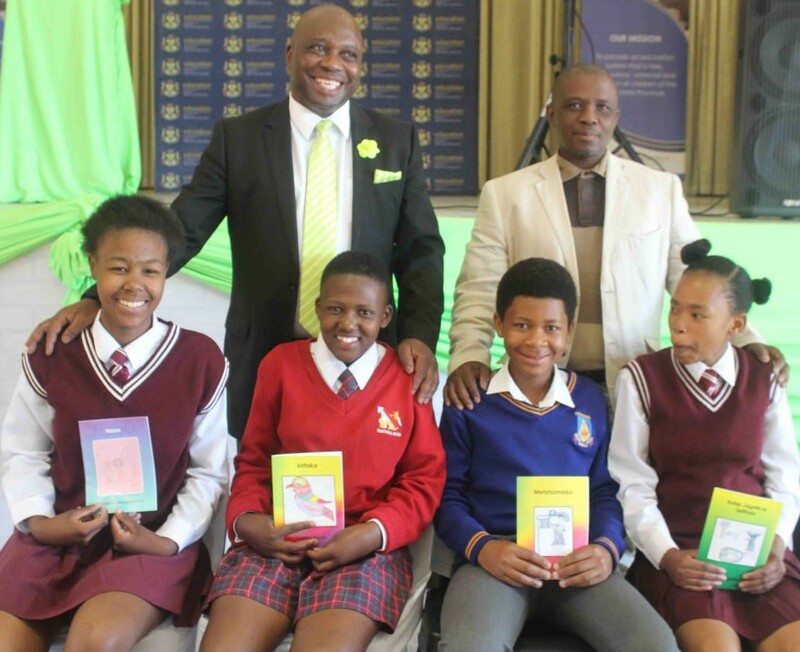 Our aim is to develop our young authors from grade 3 to grade 5 by creating a culture of reading and writing,” said December Moloi, District Director. The pilot project was started in 2012 by identifying schools that are Setswana and Xhosa. “One of the biggest challenges that we faced was learners’ handwriting. But despite these challenges, we are here to give all the schools represented here today short story books written by grade 3 learners. We also have other authors from all the districts in the Free State present,” says Maria Mochoari from the Department of Education. Naledi Moretsi from Tsoseletso High School told Bloemfontein Courant she was very proud of her book, because it aims to encourage other learners to read. “This book shows all the challenges we face as learners. I would like to see my book being published, and if I should get another opportunity to write a book, I will take it with both hands, because I enjoy writing books. I would also like to encourage other learners to write books, because books don’t go out of fashion. Mosoeu Mokgobo, Chief Director: District management, said the performance of the young authors can also be attributed to the hard work of the teachers. “I have read a book by one of the young authors we are celebrating today, and I must say, the stories are very touching, as it is about the challenges that our people are facing every day. As we are celebrating Children’s Day, I want to say thank you to the learners who put pen to paper. We hope that morelearners will be encouraged to write books.